The Canadian Mental Health Association (CMHA), founded in 1918, is one of the oldest voluntary organizations in Canada. Each year, it provides services and supports to more than 1.3 million Canadians through the combined efforts of more than 11,000 volunteers and staff across Canada in over 330 communities. As the nationwide leader and champion for mental health, CMHA facilitates access to the resources people require to maintain and improve mental health and community integration, build resilience, and support recovery from mental illness. CMHA branches across Canada. CMHA-Cochrane Timiskaming is one of those branches. The Canadian Mental Health Association Cochrane-Timiskaming Branch is part of Canada’s longest standing mental health organizations. CMHA-CT is a non-profit charitable organization offering community mental health services to individuals living with mental illness to support them in living fulfilling lives. Serving North East Ontario, the 130 staff at CMHA-CT provides recovery-focused programs and services for people of all ages and their families. Operating from five (5) sites in Timmins, Kirkland Lake, Matheson, Englehart and New Liskeard (known as Timiskaming Shores), CMHA-CT. The Board of CMHA-CT is hiring a new Executive Director. 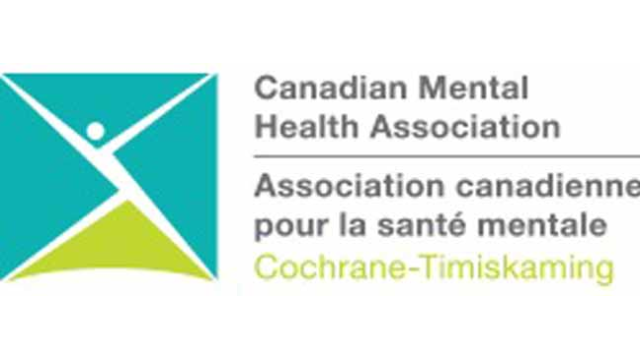 Reporting to the Board of Directors of the Canadian Mental Health Association – Cochrane Timiskaming Branch, the Executive Director (ED) is responsible for the management of all aspects of the operation and services. The ED leads the overall strategic direction of the agency and is accountable for human resources, all programs, property and finances. This search is being conducted on behalf of CMHA-CT by crawfordconnect, a search firm specializing in recruiting leaders for Canada’s non-profit sector. If someone you know may be interested in this position, please feel free to forward this document – we’d be pleased to connect with them. By September 7, 2018, please apply with both your cover letter and resume through our website at http://jobs.crawfordconnect.com/jobposting.asp?WebJobPostingsID=44. After applying through our online portal, you will receive a notification, confirming receipt of your application submission. We request all applications to be submitted online only: this includes a cover letter and a resume for all submissions. For additional information regarding this job posting please reach out to Clare McDowall at clare@crawfordconnect.com or 1.866.647.5149. For technical issues in submitting your application online, please contact info@crawfordconnect.com. Qualified applicants are invited to submit their resume and letter of interest online, through our website or by email to our consultant, in confidence. We thank all applicants for applying, however, only qualified candidates selected for an interview will be contacted. Please advise crawfordconnect if you require accommodation in accordance with the Human Rights Code or the Accessibility for Ontarians with Disabilities Act in order to properly participate.